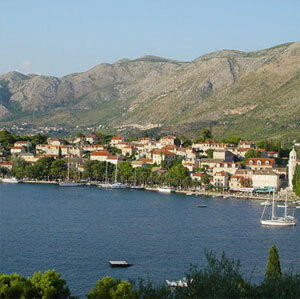 Not connected by direct flight in spite of high demand of German tourists for Dubrovnik and Adriatic coast. In 2007 there were five frequencies weekly on the Budapest route. During 2008 all of these were cancelled in spite of a higher demand on this route. No direct flights in summer season, but there are permanent requests by potential travellers. 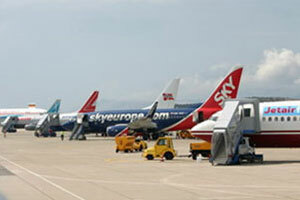 Northern Germany is not covered by an air services in spite high tourist demand for Dubrovnik and Adriatic region. Only ad hoc charters available. Visitors from Istanbul arrive in Dubrovnik using transfer flights via several destinations - both expensive and time consuming. Figures show that there are a large number of Portuguese visitors. Since there is no direct connection, they use indirect flights to reach the region. 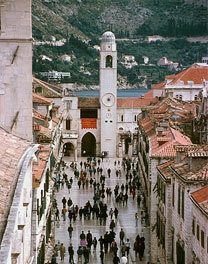 Slovenians are ranked very high on the list of visitors of Dubrovnik according to figures submitted by Dubrovnik Tourist Board, but with no air service, the only option is to arrive by road. 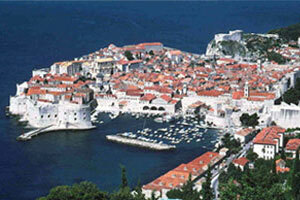 More than 3,000 passengers travelled to Dubrovnik from New York in 2008. In the 1980s there was daily direct service and this has not resumed despite demand evidence. No direct air connection available in spite of increased number of tourists from these regions. Use of cars in spite of long distance. Many charter flights operate in summer season. According to passenger figures, there is high demand for morning direct flights. These passengers use time-consuming intermediate airports to reach Paris. No connection between these two historical cities. Visitors arrive by road instead. No connection between the two historical cities, in spite of tourist demand. No direct air connection available in spite of great number of visitors from Poland. Use of cars in spite of long distances. Dubrovnik - a UNESCO World Heritage site, a resort of stunning beauty and value - soon to be served by superb new airport infrastructure. 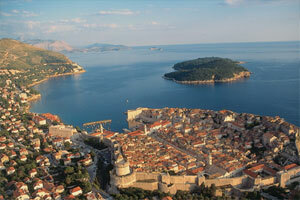 Dubrovnik city is a true pearl and is recognised on the UNESCO World Heritage List. To its visitors Dubrovnik offers breathtaking beauty intermingled with stunning cultural, sports and entertainment facilities. The superb Mediterranean climate, excellent cuisine, warm hospitality, and a crystal sea sprinkled with 1,100 islands, guarantees many return visits from the travellers who love this region. 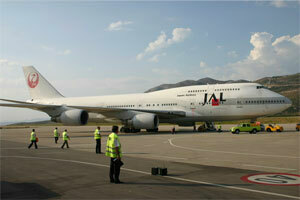 A 3,300m runway - the longest in Croatia - makes it possible for handling large jets. In the 1980s there was daily direct New York service which has not been resumed despite demand evidence. Dubrovnik Airport enables easy access to the region providing a 3,300m runway – the longest in Croatia – making it suitable for handling even the largest aircraft. Dubrovnik Airport offers an airport charges incentive programme for airlines interested in taking up new routes, additional frequencies, or year-round traffic. Besides financial support, the airport offers assisted advertising as well. 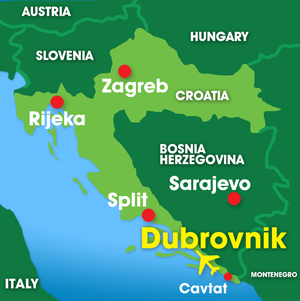 The direct catchment area of the Dubrovnik Airport (within a range of 100 km) includes the southern territory of Croatia, southern parts of Bosnia and Herzegovina, and eastern parts of the Montenegro. Contact route development specialist for further information. 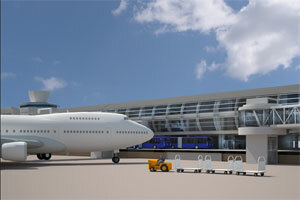 The new terminal in 2011 will allow for a doubling of the current 1m throughput. 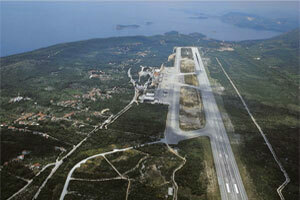 Dubrovnik Airport is located only 20 km from the centre of Dubrovnik. 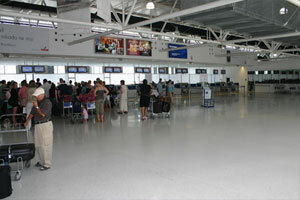 Dubrovnik Airport is served by the local bus services, taxis as well as car rental companies. In 2005, the airport started its most ambitious-ever reconstruction project: ‘Dubrovnik Airport for +2 million passengers’.